It is interesting because it feels like it has been forever, but also feels like this is the first time. For all we know this may be the first time, at least on this planet, where masses of people are thinking about, striving for, even believing in – Ascension. Now we are beginning to begin. But, we will not know exactly what will occur or how it will occur or when it will occur. But, we are greatly confident that something is happening. That something is brought to us via these waves of higher Light. Our lives are eternally guided within this Now. So all we really need to do in regards to these higher waves of Light is just to relax into the knowing that something is occurring, even if we are not exactly sure what it is or even why it is. But, as long as it feels like Unconditional Love, as long as it feels like Truth, then we continue. Now, we’ll know that because we have been through so many incarnations of indoctrination, so many incarnations where we were told what reality was, and we believed it. We believed what we were told and, what we were told on the outside appeared more important than what we were really feeling on the inside. Now we are beginning to allow ourselves to look at our reality not from our 3D brain and 3D senses and what our third dimensional world tells us what is real. Now we can feel reality in a higher fourth and fifth dimensional manner in which we just somehow know. We don’t know exactly how we know – but we know. We have been in the process of loving ourselves unconditionally – chakra by chakra. And we’ve gone up to the heart chakra. Therefore, now is the time to think about what is beginning and what is ending. Our heart chakra is the very first thing that beats, that says this is a zygote that has the possibility of becoming human, and it’s the last thing that beats when we die. If we stay in the old version in which the outside world is telling us what is right and what is wrong, then we will stay there. But if we take that risk to trust our own inner feelings …. Now, we have not been trained to trust our own inner feelings, and so we have to break our 3D programming. We have to know that if we can feel it inside of us, and it feels like Unconditional Love and Multidimensional Purpose and even a random perception of Infinite Wisdom – that’s our High Heart speaking. So we need to listen. As our High Heart continually speaks to us, we begin to feel a sensation – feeling almost like what we might call Angel wings in that it is behind our heart – maybe a little above, maybe a little below. But we feel an energy field that’s invisible to our third and fourth dimensional Self – BUT our fifth dimensional Self can perceive it. And, it feels like, looks like, almost what we would call wings. 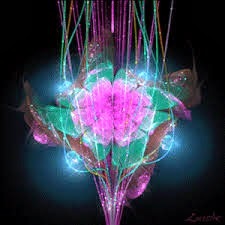 But what it actually is, is the outflow of the inflow of the Higher Light that is coming into our Heart Chakra. These waves of this higher dimensional Light come into our High Heart and our Heart Chakra. Our Heart Chakra is the part of our physical body that receives the higher Light. And our High Heart is the higher dimensional part of us that can perceive and accept the higher dimensional frequencies of Light and bring them both back into our physical form. 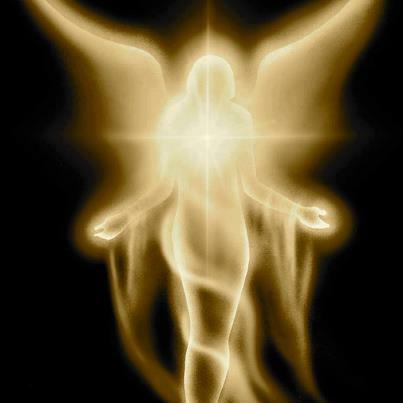 The perceptions of our High Heart and our fifth dimensional perception, which our “Wings of Light” assist us to interpret, allows us to read the Light language that has come into our physical body. 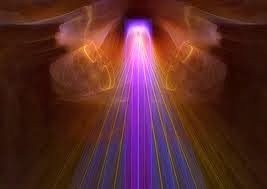 Our Heart and our High Heart are calibrated to this fifth dimensional flow of Light. This Light comes into our heart, and flows out through our heart. Our Heart and High Heart are where we experience the inflow merging with the outflow. Where the energies out and the energies in meet, there is a spot, a place in-between, a moment, a thought, a possible reality in which the inflow and the outflow merge into the moment of the Now. Now, remember the wings aren’t really wings, but the outflow and the inflow of the Higher Light. This outflow serves as propellant, much as wings propel a bird to be able to fly and keep them in the sky. This outflow, which feels like wings, represents our trust in our SELF. 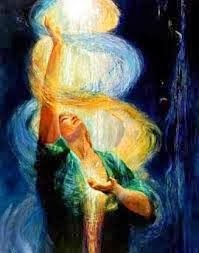 We have trusted our SELF enough to bring IN this inflow of Higher Light and to allow this Light to enter into and intermingle deep within our heart and High Heart. THEN, after it intermingles deep within our heart and High Heart, we allow the outflow of this Higher Light. But some of the outflow always stays in the heart, and some of the inflow always stays in the heart to create a seed. It is a Seed of Hope. Faith, Hope and Charity – and the greatest of these are Hope. If you don’t have hope it’s hard to have faith. If you don’t have hope it’s hard to give charity. Therefore, hope is more important than most people understand. Whatever our own higher expression says, this hope allows us to go out into the world and to merge with the information of the Higher Light and to share that Higher Light with our outflow. Hence, we are merging with the reception of this inter-dimensional energy field and with the expression of this inter-dimensional energy field. We are accustomed to the dynamic that our expression of SELF would be sent out from in front of us, but we are talking about our expression being sent out from our “wings” in the back of us. What this symbolism (Light Language) means is that we need to engage with our Angelic presence. 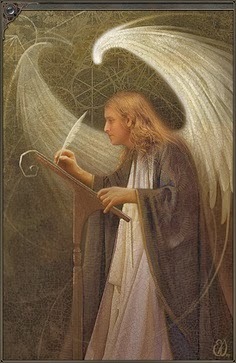 We need to live in this Unconditional Love of what we would think of as an Angel. For it is within this “Faith of an Angel, this condition of being an Angel,” that we can deeply feel our hearts being open to allowing this energy to come through the back, not the front, because we do not need to get attention. 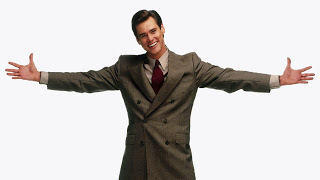 We do not need to say, “This is my outflow.” It just is the outflow! In this manner, the ego begins to have less and less importance. The ego will remind us when it’s time to pay our bills or to take care of whatever third dimensional needs, but it is no longer more important than the Higher Light. If we get too stuck to the third dimensional needs, we won’t be able to lift off. I’m not sure what lifting off means and absolutely not sure how we will do it. But there is this feeling that is moving through my Self and through many to whom I am talking. The lovely thing is that every person feels the same things in their own individual way. And each person talks about it a little bit differently, but it feels the same to all of us. This feeling, this Higher Light, encompasses all our individuality because all of us “individuals” are united within this ever-expanding experience of Unconditional Love and Violet Fire that is flowing into and through us. “Into and through us,” because we are not the creators of the Higher Light, we are the grounders of this Higher Light. We are like a tree that allows the rays of the Sun to caress our leaves, travel from our leaves to the little stems of the leaves and into the bigger stems of the branch, then into the limbs and the trunk to travel down, down, through the trunk and deep into the Earth. We do not create the Earth. We do not create the Higher Light, but we are creating a merging of the Higher Light into the body of Gaia. Gaia needs our help, human help, because humans are the ones who created the damage to Gaia. The animals didn’t damage Gaia. The plants didn’t damage Gaia. The atmosphere changes as it is always changed, but most, if not all, of the damage to the atmosphere and Earth’s earth, the air, fire and water, was done by humans. Therefore, this is a human mess and humans have to clean it up. And the way to “clean up” these elementals of Earth is that we clean up the elementals within ourselves. We Unconditionally Love ourselves chakra-by-chakra, organ-by-organ and bit-by-bit. When we Unconditionally Love ourselves all the way through our chakra system, that Unconditional Love will heal us enough that we can pull the Violet Fire into ourselves chakra-by-chakra, and element-by-element. As we transmute ourselves element-by-element, chakra-by-chakra, we transmute the outflow. That which flows out from our Heart and through our Wings of Light with the Unconditional Love lives within and travels through us. When we can accept Unconditional Love by loving ourselves unconditionally we open wide our inner portals, which are NOW calibrated to Unconditional Love. Each chakra is a portal and all the chakras are aligned with our personal inner portal. As we accept that Higher Light and allow it to transmute us, much like the Violet Fire transmutes, we ground this Higher Light into Mother Earth who will breathe it out into our reality to share Her process of transmutation – person-to-person, person-to-plant, person-to-animal, person-to-atmosphere, person-to-planet in every way. Now we can fully allow our “Seed of Hope” to bloom. Now we have the courage to be confused, be afraid, be mental, be busy — and still accept the Higher Light. We accept this Light because we need to, AND because we’re remembering that we said we would. “I volunteer to take an Earth vessel within that NOW so I can take on all of the effluvia I’ve experienced in all of my incarnations of multiple, parallel, simultaneous realities and heal it all with Unconditional Love. Then, when I am strong enough, I promise to use the Violet Fire to transmute all shadow into the Higher Light of the fifth dimension. So, when should we begin this process? Within the fifth dimension there is no “when,” as there is no time. Therefore, we must, will, are honored to DO IT NOW!